In 1788, the Surinamese Sephardic planter, physician, and scholar David de Isaac Cohen Nassy published his Essai historique sur la colonie de Surinam. 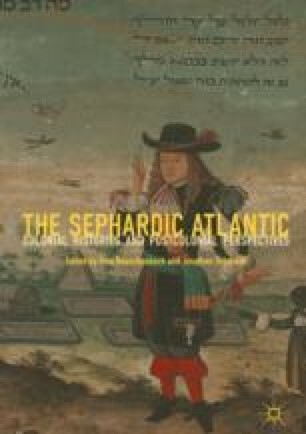 In scholarly literature, Nassy’s text—an important documentation of the pride and self-awareness of one of the most privileged Jewish communities in the world—is mostly discussed within the context of the European Enlightenment and the transfer of European ideals to the Americas. This chapter suggests that Nassy not only relied on European texts, but that he also employed strategies of “writing back” to contest them, and to reverse power relations between the imperial center and the periphery. Among the authors Nassy aims to correct are frontrunners of European Enlightenment historiography, such as Voltaire and Guillaume Thomas Raynal. Nassy is critical of, among other issues, their negligence of the importance of Jews in the history of the colony, as well as their general distortion of the picture of Suriname. In the final section, the scope is broadened and the discussion of Jewish-American historiography is supplemented by discussions of similar expressions of Jewish-Creole thought, challenging European mechanisms of control. This chapter was written after my inauguration lecture at the University of Potsdam. Several colleagues have read earlier versions and contributed to the improvement of the text and argument. I am especially thankful to Aviva Ben-Ur, Rudolf Schlögl, Ana Sobral, and Jonathan Schorsch for their illuminating comments. Maria Seidel provided the first English translation of the original lecture. Kyle Greenwood helped with earlier English versions of the text. Jonathan Schorsch has been a wonderful editor at the final stage of the publishing process.